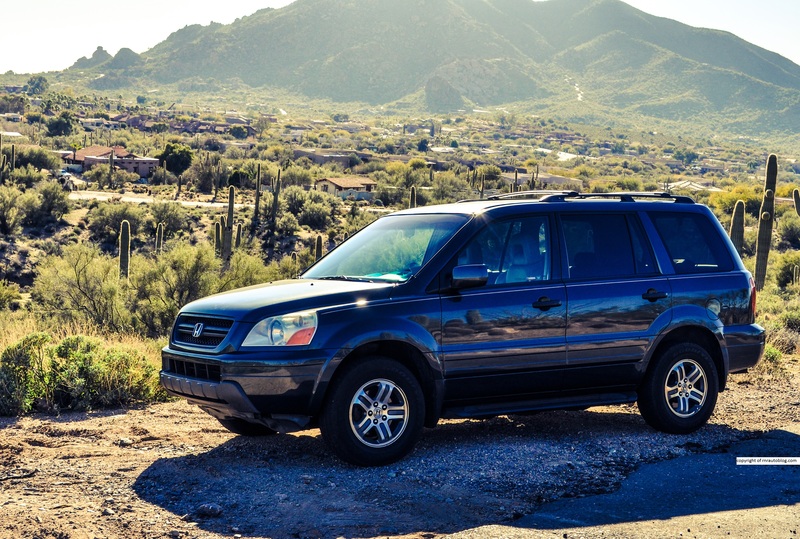 In the 1990s, America experienced the “SUV boom.” The appeal of SUVs was that they provided a high driving position, room for your family, and a tough image. 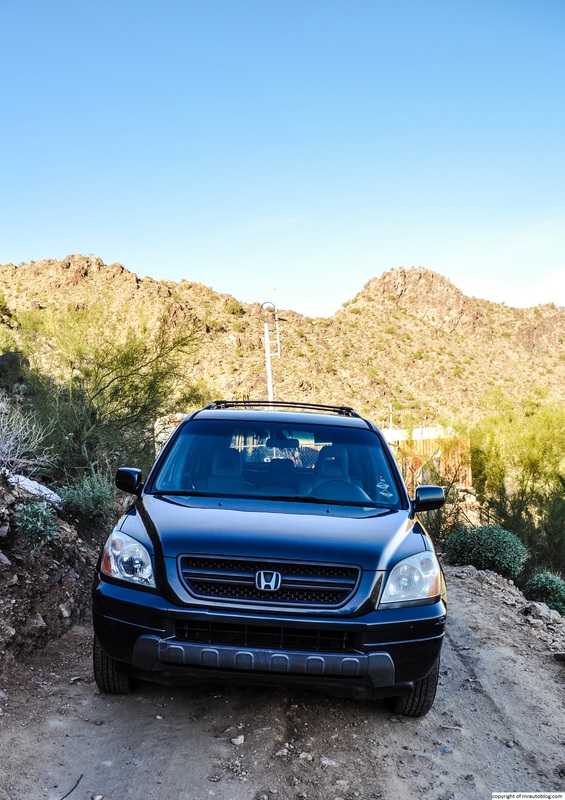 All of sudden, SUVs were becoming the norm for families, and every car manufacturer rushed to produce an SUV, including Honda. 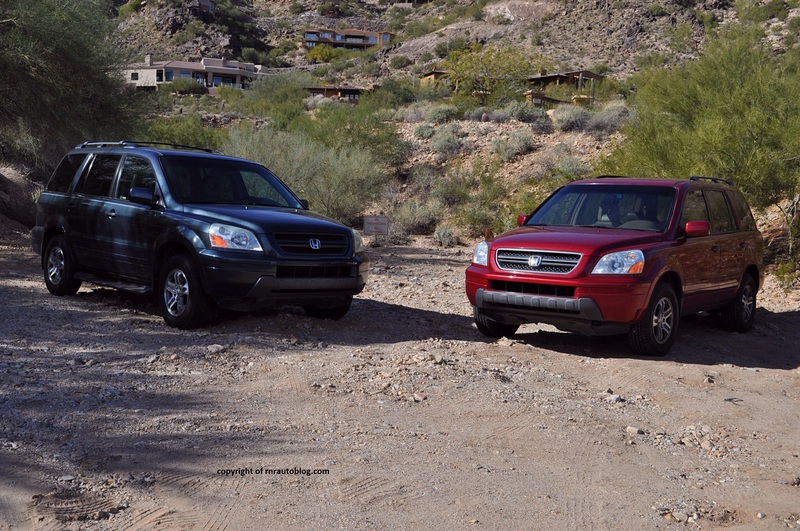 At the time, Honda and Isuzu had a sharing agreement. 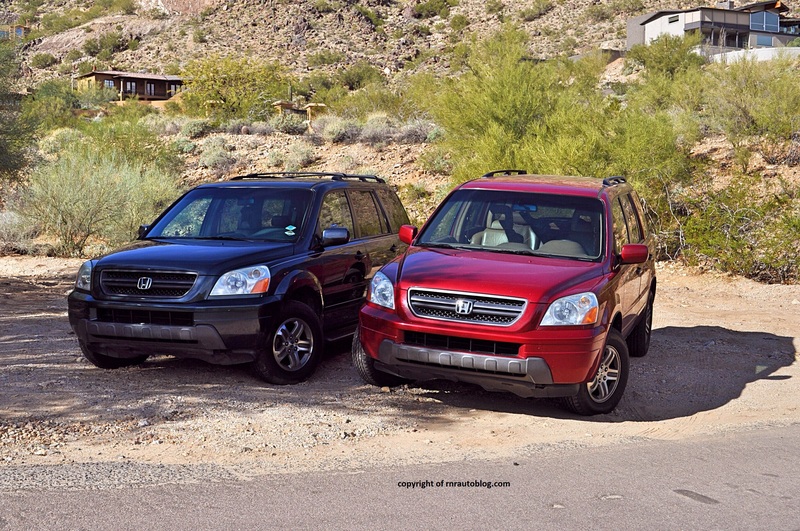 The Honda Passport and the Acura SLX, clones of the Isuzu Rodeo and Trooper, were the results. 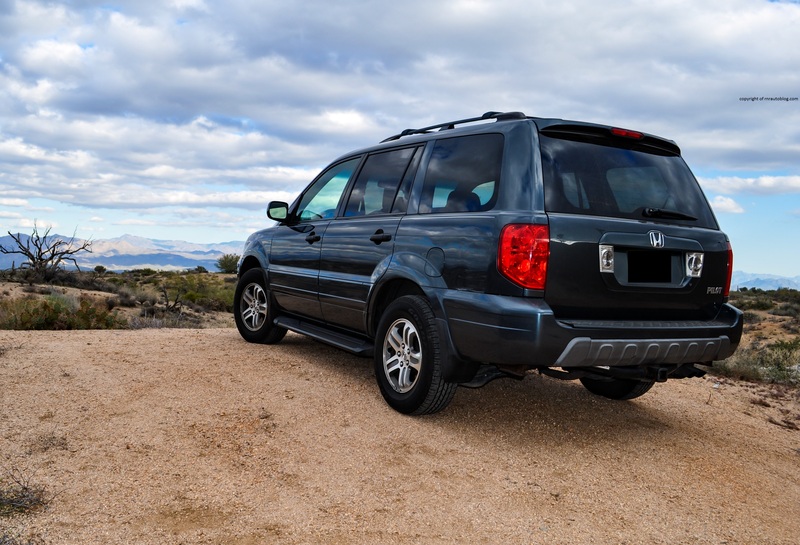 In exchange for these vehicles, Isuzu gained their own version of the Honda Odyssey, the Oasis, while in Japan, they got their own versions of the Honda Domani and Accord. 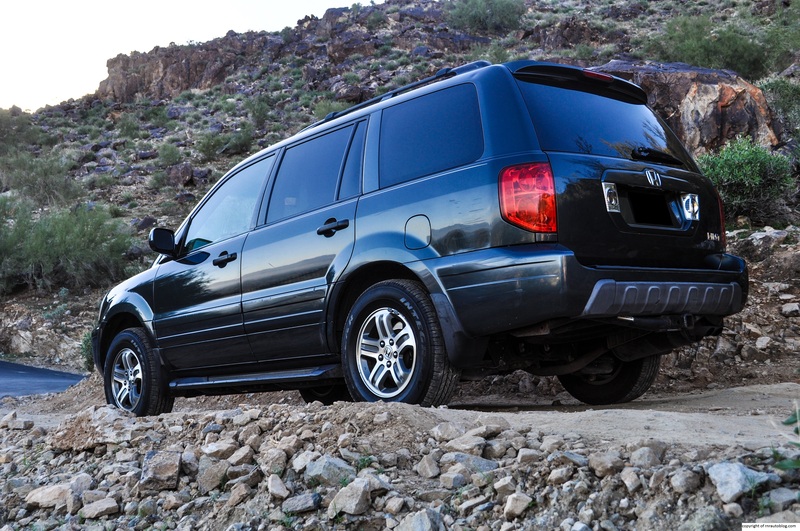 Bearing a Honda name, the Passport sold well despite lacking the typical Honda quality and reliability. The Passport soldiered on for two generations. 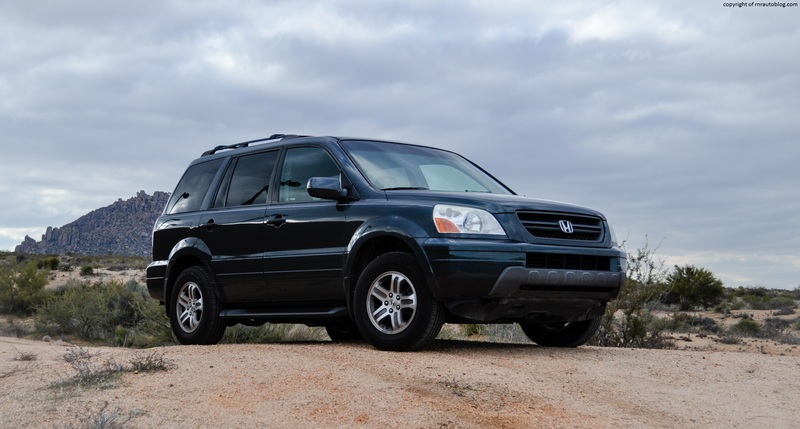 But Honda proved later after launching the Honda CR-V and Acura MDX that it didn’t need Isuzu’s help in producing SUVs, so the Passport was discontinued in late 2002. 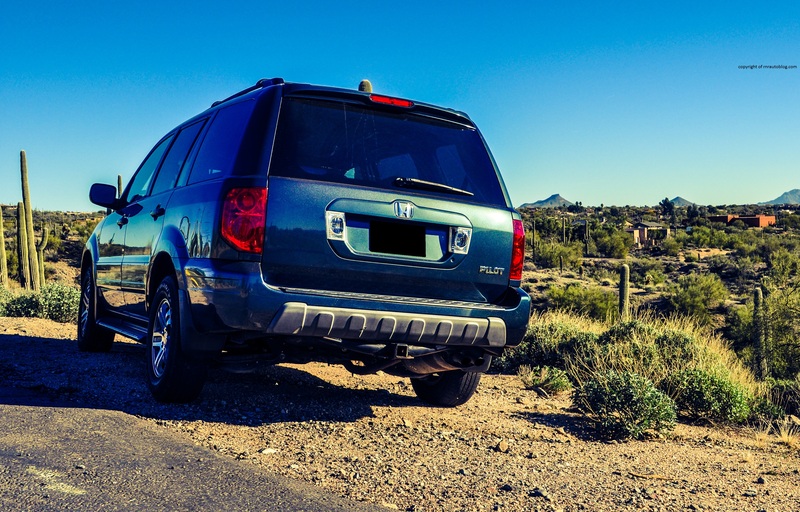 Honda needed a replacement for the Passport, especially since families were flocking to unibody SUVs (SUVs based on a car’s platform) rather than truck based SUVs (the Passport was truck based). 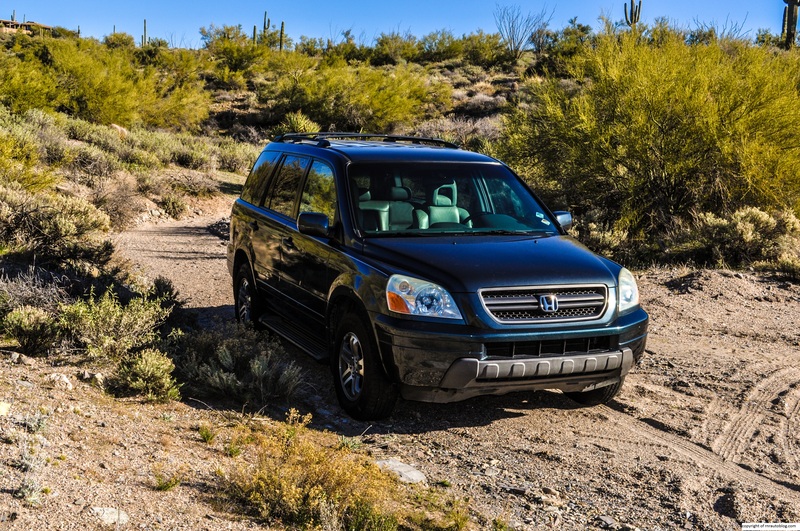 The Acura MDX, based off the Honda Odyseey (which is derived from the Accord sedan), launched in 2001, and it was a success. 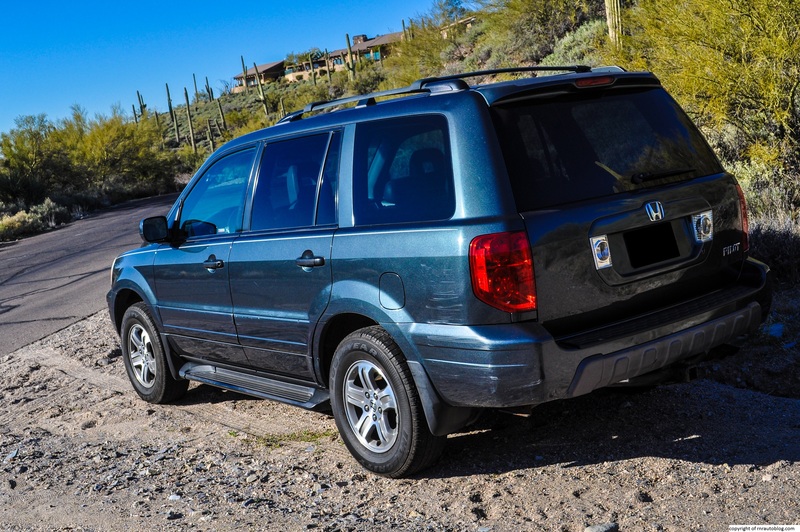 Honda used the MDX’s chassis, and spawned the Pilot as a 2003 model. 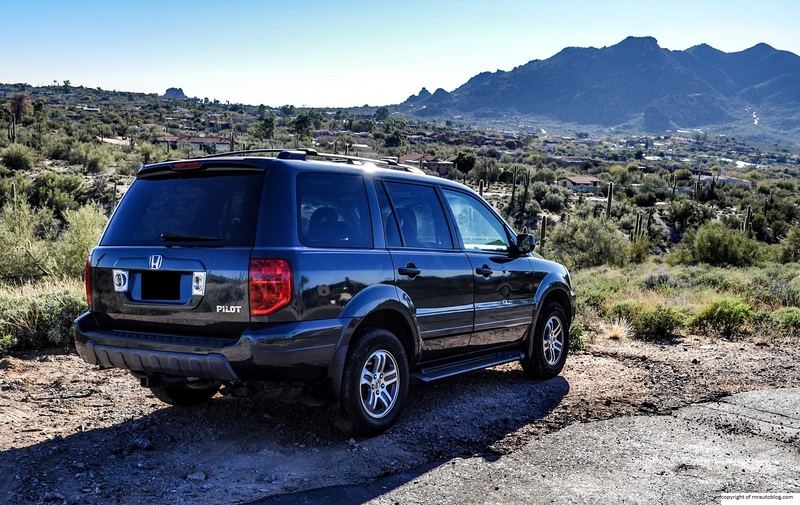 The only difference between the Pilot and the MDX was in their sheet metal, and that the Pilot was more comfort oriented and seated eight instead of seven like the MDX. I think its cool that my Pilot replaced the Passport. And you know what I noticed? Passport and Pilot. Those are airport/airplane items. Coincidence? I think not. Styling wise, I think the first generation is a very good attempt. 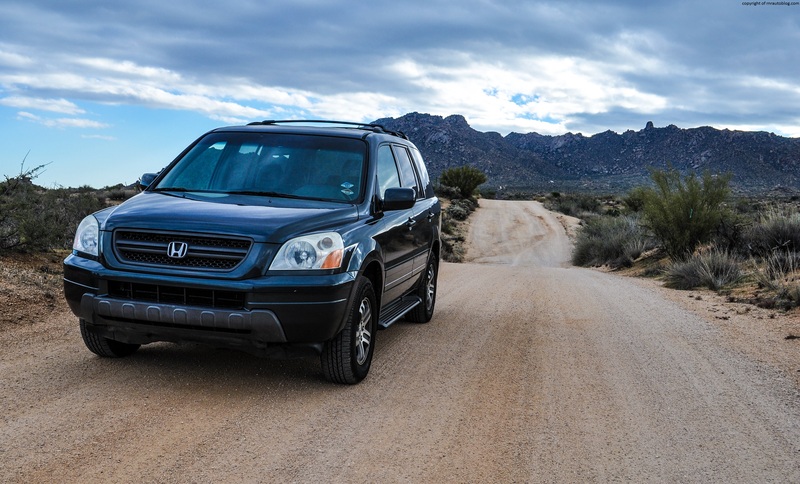 It is bland, but it conveys the essence of Honda very well. It looks like a car, but it has enough cladding and presence to show that it is an SUV. My only real problem with the design is its proportions. It is so obvious that it is a front wheel drive design. See, usually in front wheel drive cars, the cabin is pushed closer to the wheels for more space. If you view it from a front quarter angle, it looks like it is too short in length. Even from the side, I can’t stop looking at short the front portion is. Now, on a more “review” note, the front is faultless. The headlights are large enough, and I love the grille design. I like how the hood’s outer edges decreases in height to match the top edges of the headlights. The only thing that I didn’t like at first was the cladding. I thought it was unnecessary, until I got rear ended and then hit a truck in front of me. Thanks to the cladding, there was virtually no damage at all. So in conclusion, yay for cladding! The side profile is pretty conventional, and I’ve already complained about the awkward proportions. 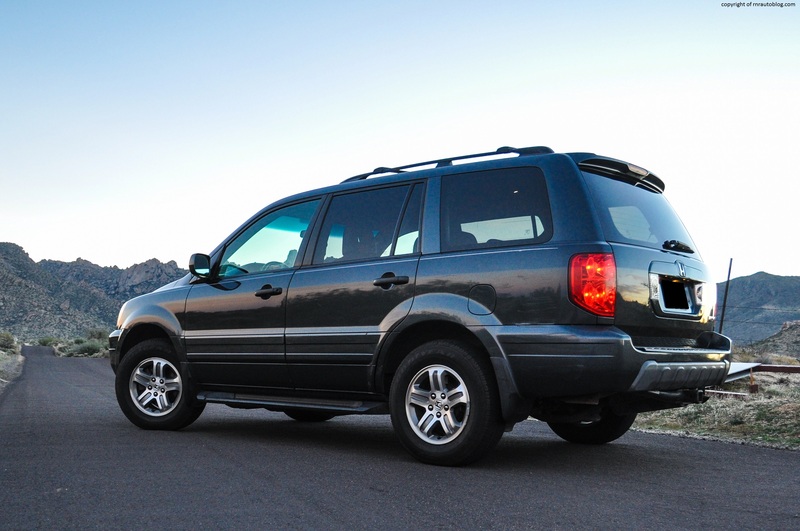 The bulging fenders and the body moldings give some it some SUV credibility. I find that the rear is the best part of the design. Especially if you look at it from a rear quarter angle. The taillights are detailed, and I like how the reverse lights are embedded with the license plate. It’s just different. But what I like about it, is how tasteful it looks from a quarter view. 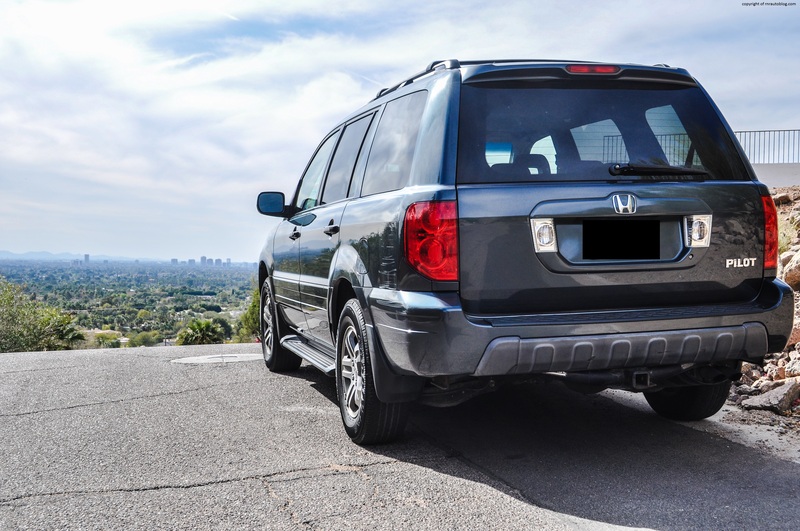 The spoiler sets it off well, and the Pilot actually looks long like a proper SUV. The wheel design is great, and the rear overall is pleasantly simple. 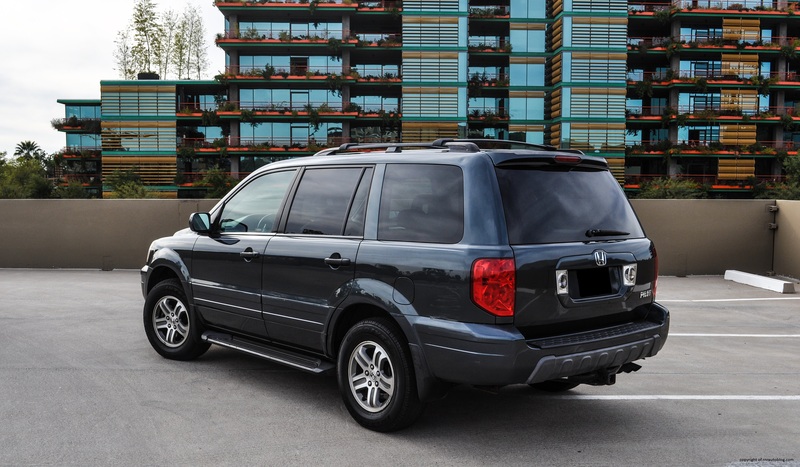 Again, as with the front, I initially hated the rear cladding, but when I got rear ended by a Chevrolet Avalanche, the only damage was a scratch on the cladding whereas the Avalanche’s bumper was done for. Thank goodness for the cladding. The interior is utilitarian, and it is not something to write home about. However, I find the green lighting at night appealing, and the interior does look inviting somewhat. Green is my favorite color, which is why I love the Sage Brush Pearl. It does confuse people. My friends think it is blue, some people think it is green. My mother, who drove this car for five years, thinks its grey. Yeah, I don’t understand that either. Point is, if you look closely in the paint, it has sparkles in the paint coat, and I love how it is a unique color, and it looks great in the sun. 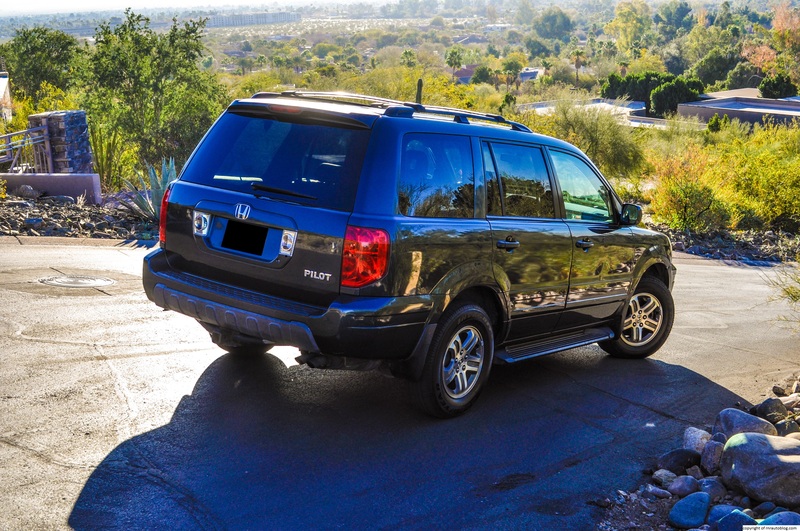 I know that I constantly talk about how Hondas and Acuras are renowned for their great handling, but in this Pilot, I have to admit that it feels a little less Honda-like. 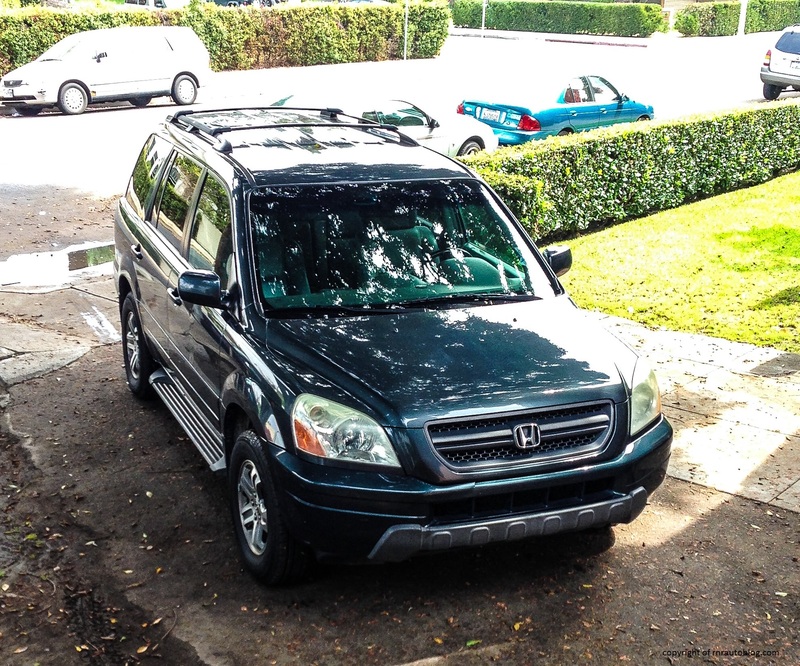 What I mean is that it drives better than most SUVs, but it drives a little bit more like a Toyota than a Honda. 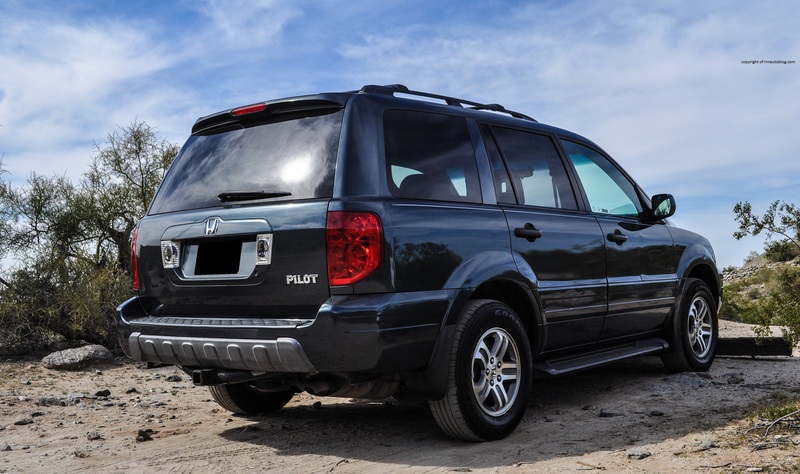 I remember reading a review online about the 2004 Pilot, and it included a quote from Honda about how the Pilot was designed to be a comfortable SUV, not a SUV for sporty handling. The steering is light at low speeds, but it weights up neatly at higher speeds. There is some resistance to it, which I like, and it has a meaty weight to it. It is quick and precise, and it is communicative. I have noticed that car magazines have complained that the steering is vague, but I don’t agree with that. It may not be BMW grade, but there is definitely feedback in the steering. I actually don’t mind driving on bad roads, because I literally feel the road through the steering, and because of this, it is always interesting to feel what different roads are like. I will say this, this car does not like to be driven like a maniac. If you do it in a straight line, fine, but if you want to drive like you are on fire in corners, then forget it. There is a lot of body lean in corners. When you turn the steering wheel more than 30 degrees, you can feel the car subtly shifting its weight. When you suddenly turn the wheel, the car leans dramatically. The tires do not grip well either as they run out of grip early. Over the years, I’ve learned how the Pilot reacts. Whenever I am about to turn into a corner at moderate speeds, I know how much I can turn without the tires screeching. After it understeers, if you let off the gas, you can get it back into line. Even though it is not a dynamic handler, it is competent. The ride quality is superb. 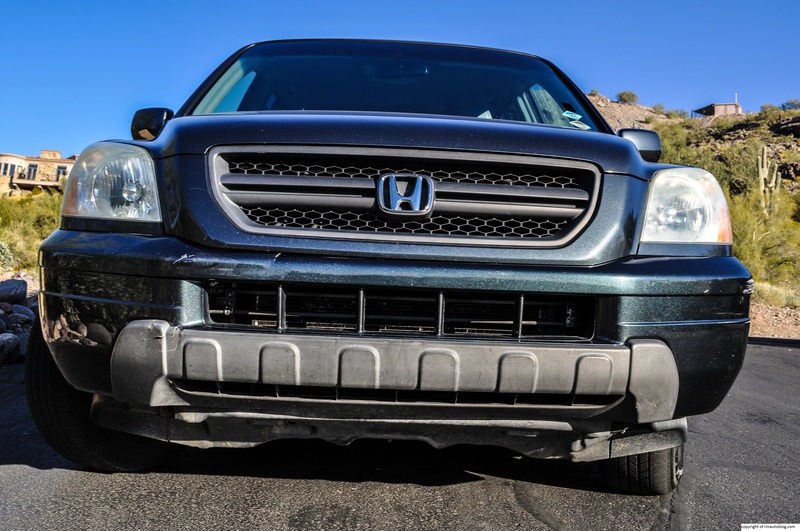 There is the typical Honda firmness, which some people may not like, and some bumps do permeate through the structure, but the way I see it, the suspension is communicating to the driver. It never gets unsettled, and it stays supple, no matter how bad the roads are. In my school parking lot, I never slow down for speed bumps, and my friends are amazed at how well it takes the speed bumps. For me, it strikes the perfect balance between firmness and comfort. 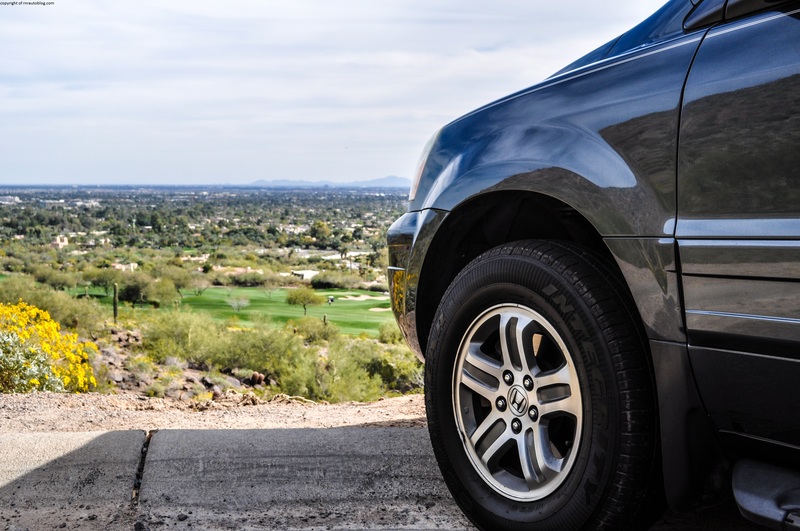 The brakes provide adequate stopping power for an SUV although the brake pedal is a bit mushy, and you have to firmly depress the pedal for it to actually slow down. 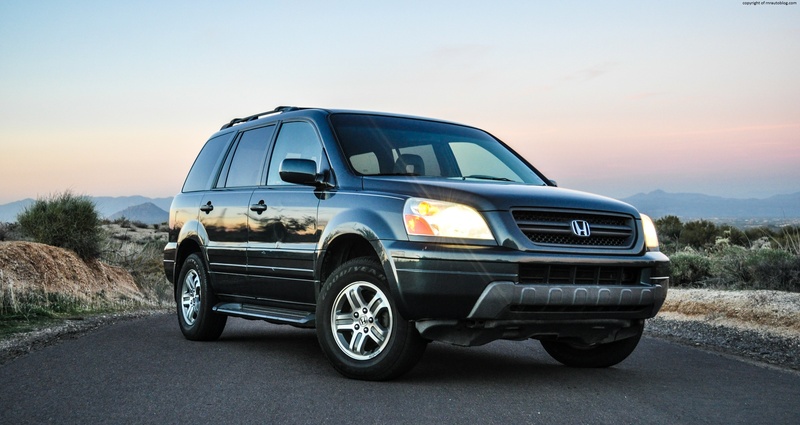 The only engine for this generation is Honda’s tried and proven 3.5 liter V6 engine. 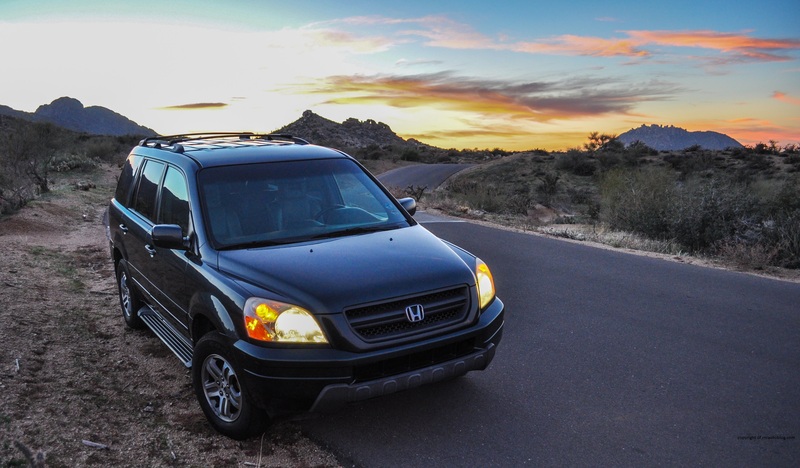 This engine serves duty in most Honda and Acura’s vehicles, and it is not hard to see why. Even though 240 horsepower and 242 lbs of torque may not seem much, this engine is a gem. 0-60 mph can be done in 8 seconds, which is more than enough for merging onto the highway. Where I live, we have traffic lights for merging on the highway, which force you to slow down to 0 mph. When the light turns green, we have to accelerate to 60 mph quickly in order to merge, and I’ve never had any problems with this. It is not outright fast, but it is flexible. It pulls strongly at low revs, and I never really have to depress the gas pedal with much effort because it gets up to speed well. Its sweet spot is between 2,000-4,000 rpm as it feels the strongest in this aspect. This engine feels powerful enough at all times, although you can feel the power delivery tapering off at 5,000 rpm. 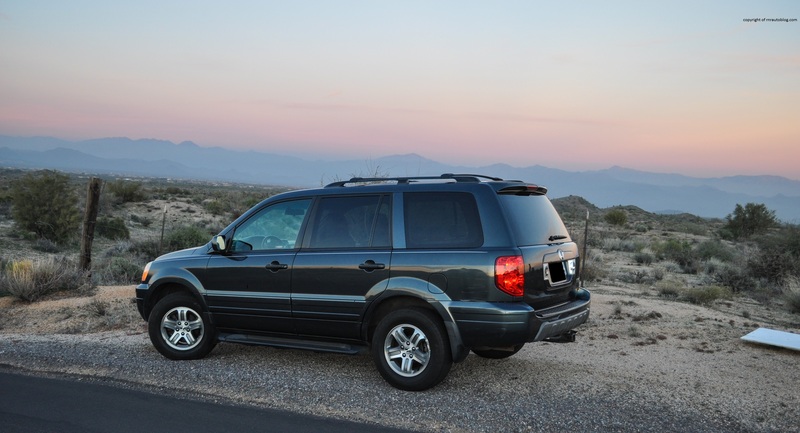 The only transmission available was a five speed automatic transmission. It shifts well enough, although if you floor it, the shifts become abrupt. In most cases, it redlines early at 5,750 rpm instead of 6,000 rpm. What I love about the transmission is its gearing. At 90 mph, revs will still be below 3,000 rpm, yet there is enough grunt for it to keep moving. Fuel economy for this car is decent at around 19 mpg. If you drive normally, then you’ll be fine. However, if you drive on the highway with revs above 3,000 rpm like I do if I am in a hurry. then your fuel economy will decrease dramatically. My main gripe with this car is the road noise by a long shot. 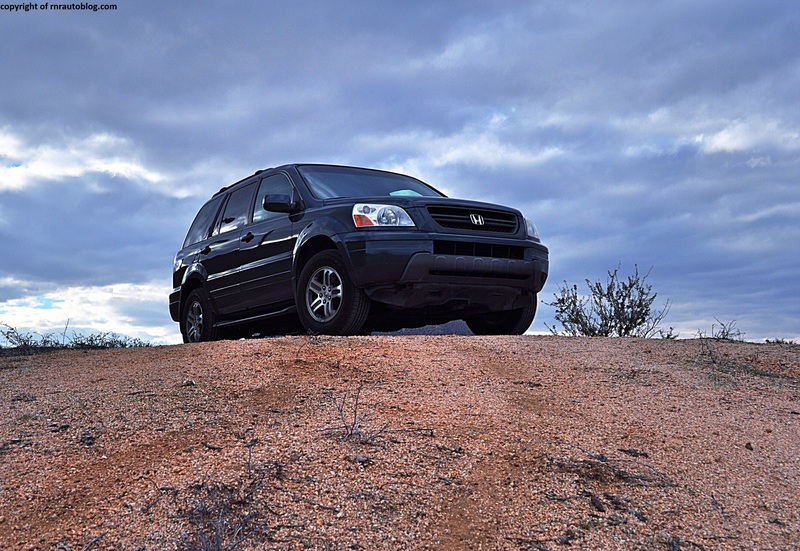 It is noisy, especially if you drive on poor surfaces. I’m used to it now because I have been driving this car for three years, but every time I get back in this car after doing a review of a car, I always notice how noisy it is, but I quickly get over it. I am probably exaggerating…it is not that noisy, but you definitely hear the roads in this car. There isn’t much wind noise, and the engine stays quiet at low revs. 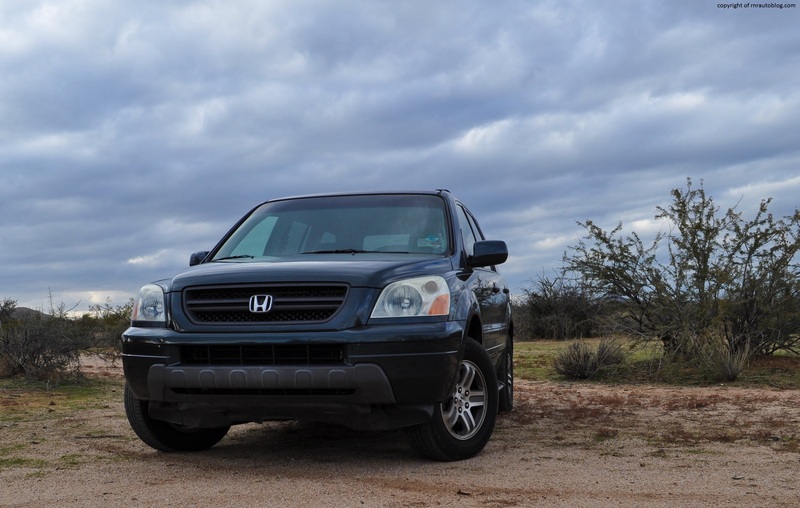 Another Honda trait is how good their engines usually sound. As it goes from 2,000 to 4,000 rpm, it sings softly, and then it growls past 4,000 rpm. This engine is the same as the 2005 Acura TL‘s V6, and what I noticed is that the TL sounds exactly the same as this, except that its been tuned to be much louder than this. Finding a driving position is easy, although the steering wheel doesn’t telescope, and the height function of the driver seat is broken, so adjusting the height is a no-no. Seat cushion is too short as you have to sit all the way back in the seat just to feel comfortable, and the lumbar support is not soft enough. Controls are super easy although I wish that the seek and tuning knob weren’t on the other side. I love that there are big rotary knobs for the most important functions like the volume, power, tune, etc. Even though the climate controls are located down below your eyes, they are easy to use. All I have to do is turn the car on, press AC on, select mode and AC speed, and I do all of this without looking. The reason I talk about cabin storage in my reviews is because of this car. 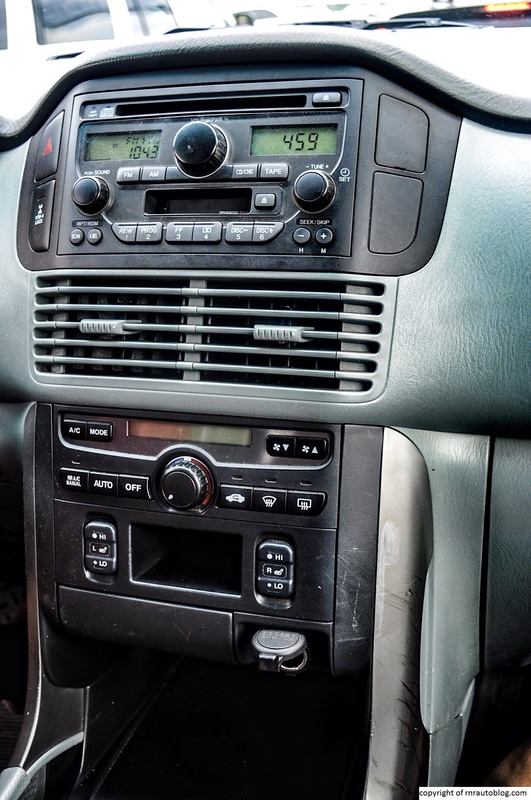 The column mounted gearshift frees up space on the center console. There is a sliding cover which reveals two compartments which make my life so much easier. I can literally put my life essentials in these two bins. There are door pockets on every door, multiple cubbies, and get this… there are nine cup holders. Two in the front, four in the second row (two in the door, two in the center) and three in the third row. The cargo area also has a underfloor storage compartment. This car is an example of practicality brilliance. 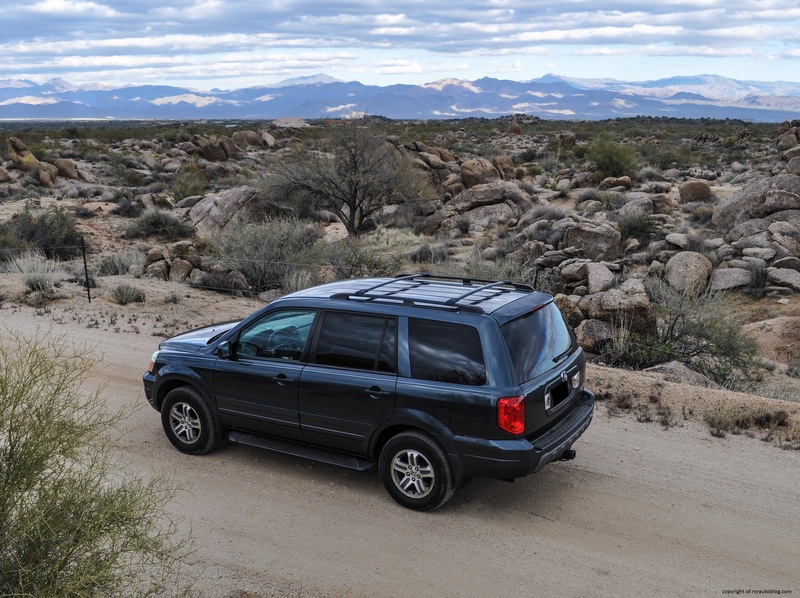 The seats can be folded flat to expand the already roomy cargo area. The third row seats are easy to fold down flat. The center seat belts for the second and third row are annoying because they have to be released with the key if you want to fold down the seats (they are suspended from the ceiling). The second row is roomy and can fit three adults comfortably. The third row can suit three adults but not for long. It is a bit cramped, and the seats are low. Visibility is excellent as I have a clear view all around me. Access is easy, and the sliding rear seats makes getting into the third row easier. The gauges are clear and easy to read. 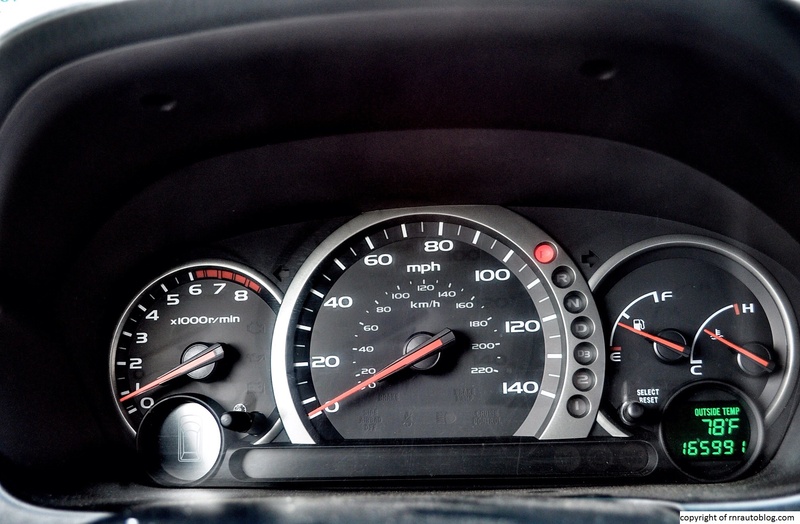 Both the speedometer and the tachometer are large, and the whole layout is uncluttered. Guess what? These are all cosmetic. Mechanically, nothing ever goes wrong. Nothing! As long as you keep up with maintenance, Neela will keep running like a champ, amazing considering that it is a ten year old car with almost 170k miles. I am so attached to this car that whenever I do floor it, I feel bad and pat the dash and say, “Sorry Neela.” Granted, in the past, I have not always taken care with this car. When I got my license, I did all kinds of crazy shenanigans with this car, and this car has put up with it without complaint. 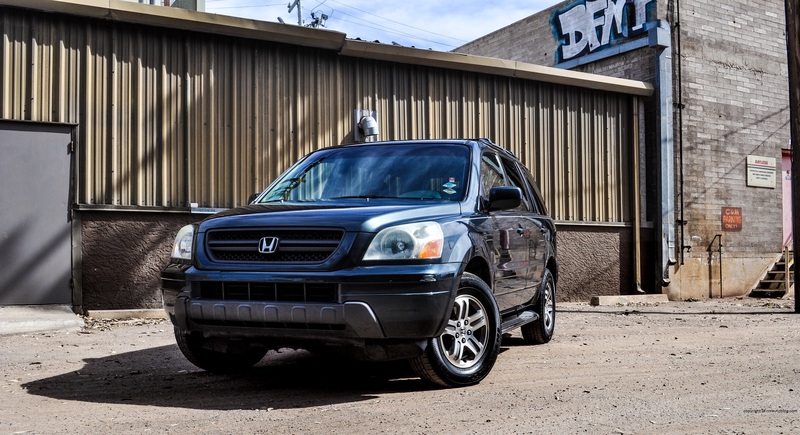 This car is the reason I loved Honda and Acura. It also saddens me to see Honda and Acura now. 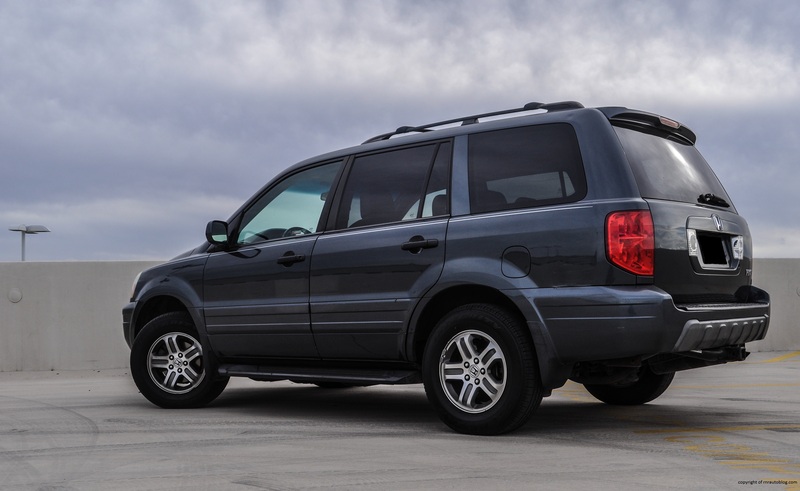 The second generation Pilot is ugly, gets worse gas mileage, and doesn’t handle as well as the first gen. 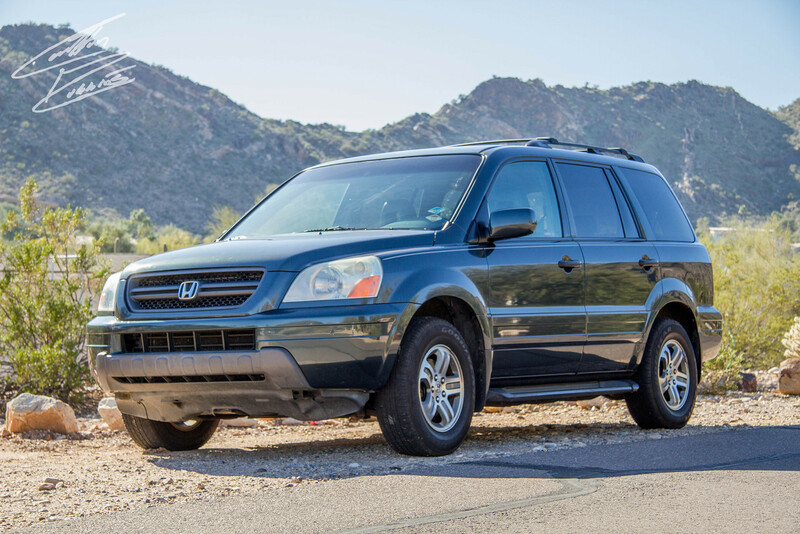 In the 1990s to early-mid 2000s, Honda and Acura were cars you were proud to own. Their cars were cars that you bought because you love them, not because you needed something to get you from point A to point B. Every time I drive this car, I constantly think, “Wow. 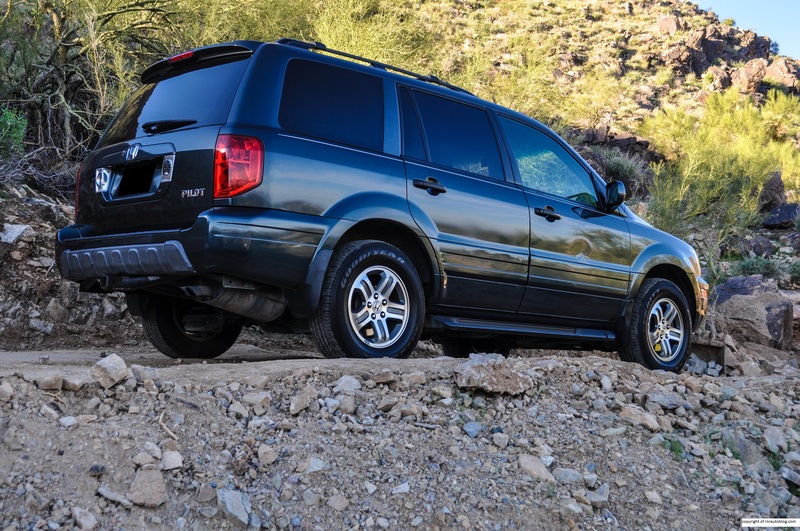 This is a well-engineered vehicle. 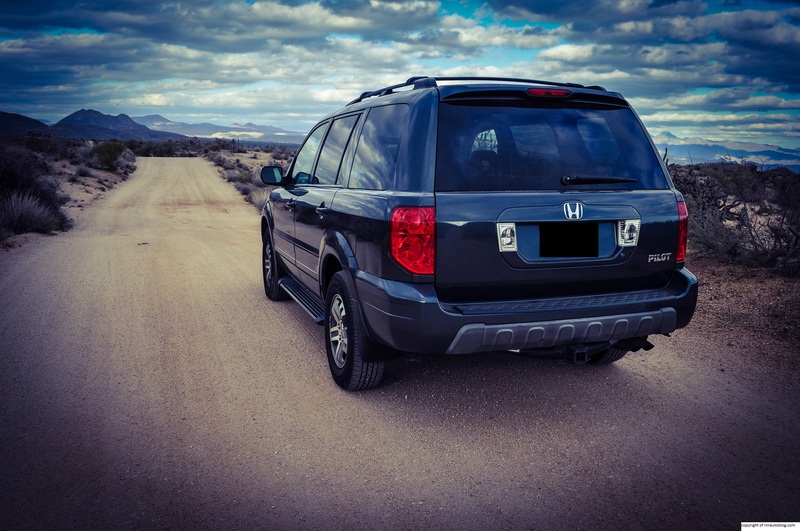 Honda really brought their A-game with this car.” This is especially true after I finish driving a different car for the blog. No car that I have tested seems to be as thoughtful as this. 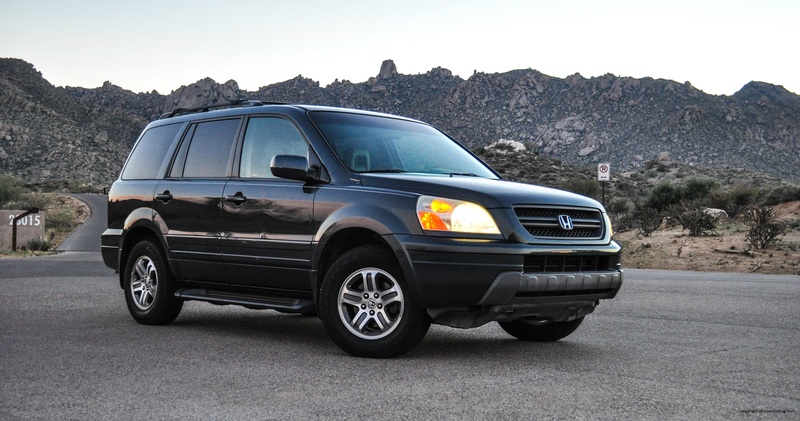 However, lately Honda and Acura are spiraling out of control. They still make good cars, but they are not the sporty and fun cars that we car enthusiasts remember. This is partly due to their quest to become a sales leader. They stripped their fun handling and quality interiors for a cheaper and more comfortable driving experience. 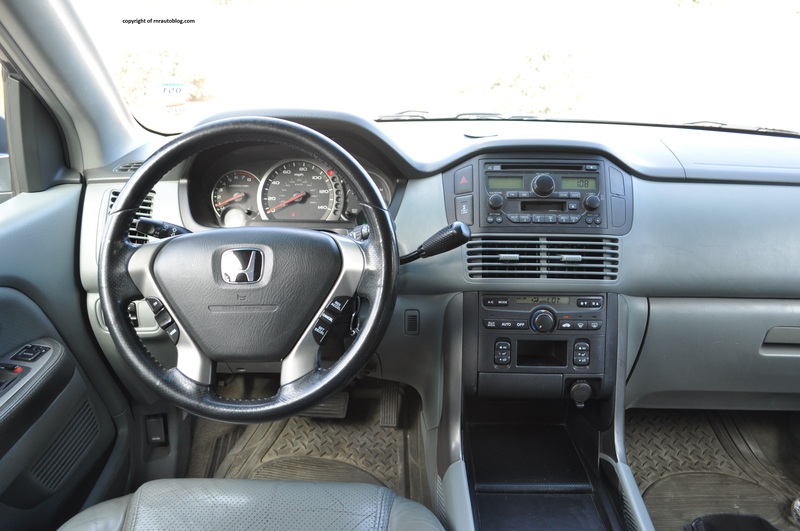 While this approach has definitely increased sales, the joy that you got from driving a Honda is not there. 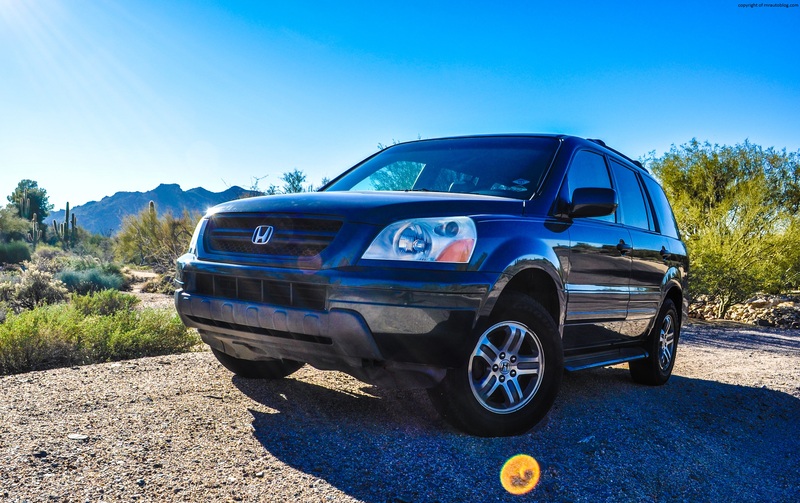 This car is the reason why I would have a Honda or an Acura as my next car, but if Honda and Acura keep going on like this, I’m going to have to buy used. Not only that, Honda and Acura don’t even make any sporty or sports cars anymore. The RSX/Integra, CL, NSX are gone. 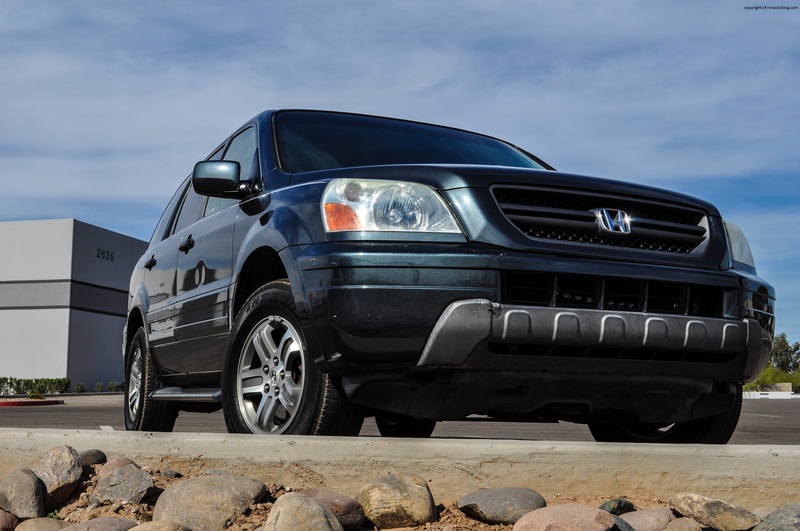 Rewind to ten years ago, and that is when Honda and Acura were at their highest. 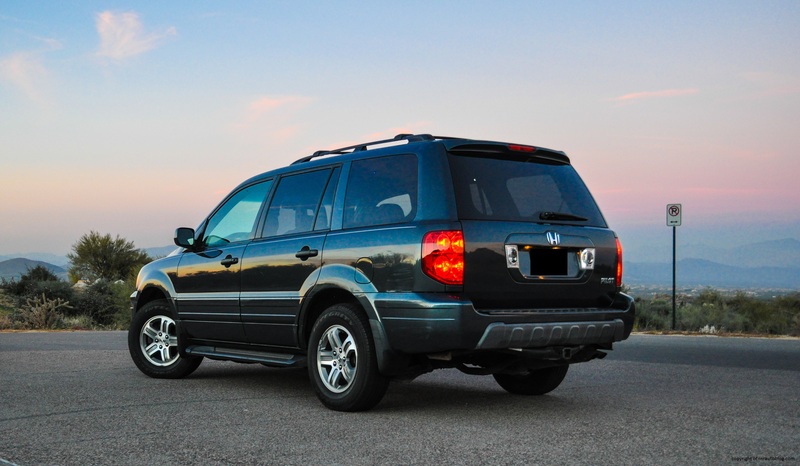 Acura had the lovable first generation TSX, sporty RSX, excellent third generation TL, the practical MDX, and the turbocharged RDX compact SUV. Honda’s lineup was both fun and well engineered. 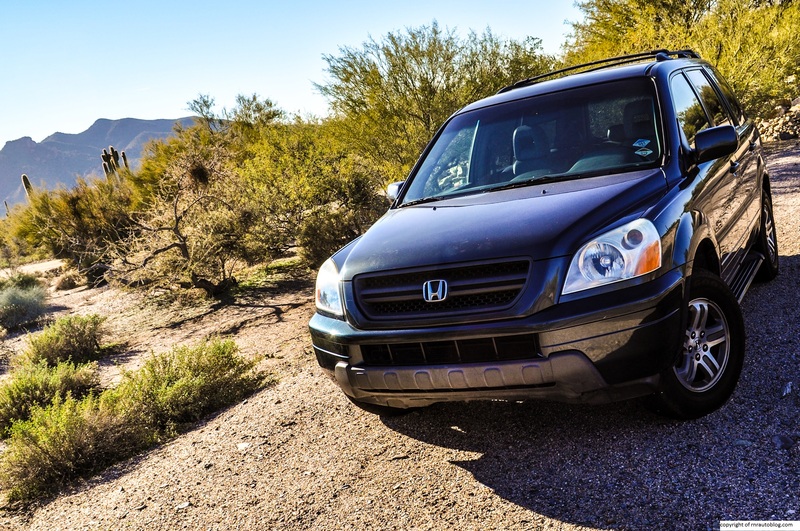 They even had the interesting Honda Element as well as the Honda S2000. Now, both current lineups are nowhere as good as ten years ago. When Honda discontinued its last sporty car, the S2000, in 2009, my love for Honda died. The point is, I love my Pilot, and I am sad to say I haven’t seen her for almost four months. We had a 2002 Toyota Camry, but that got totaled this summer. The problem was that it was my sister’s to use in college, and she needed a car, so she got the Pilot. When she comes home for winter break with Neela, I will be happy to see my sister, of course, but when she isn’t looking, I will take her keys and just go for a drive. I cannot wait. 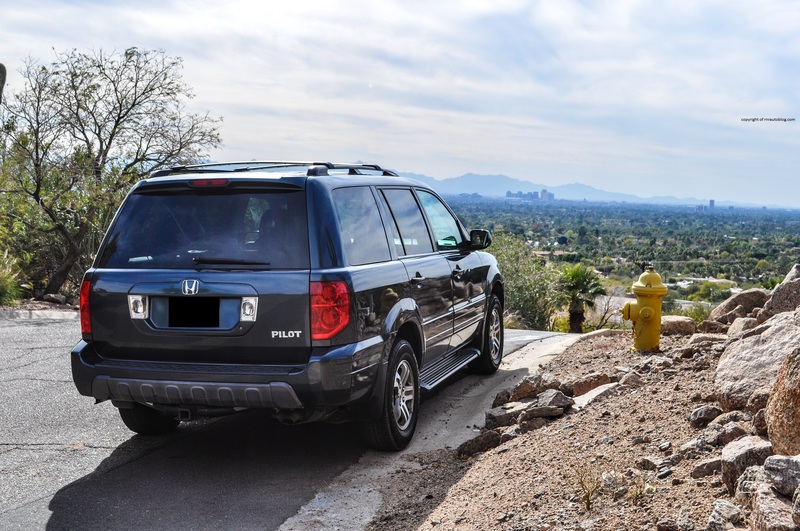 What do you drive now that your sister has the Pilot? Thanks! Lol, I agree! At the moment, I am driving a 2010 BMW 328i (It’s my dads). I love reviews of the cars that reviewers DD. They are the definition of honest, and really give readers an idea what it’s like to actually own the vehicles they’re reading about. Love the name of your Pilot too (Neela was my favorite part of that movie lol)! I feel that the first generation would not have done well in the UK simply because it is “americanized”. I know you Europeans are very strict when it comes to the driving and performance, and I feel that the Pilot would be considered sloppy and underwhelming and the ride too stiff and unsettled. However, it was a huge success here because of its value, comfort, space, and reliability.